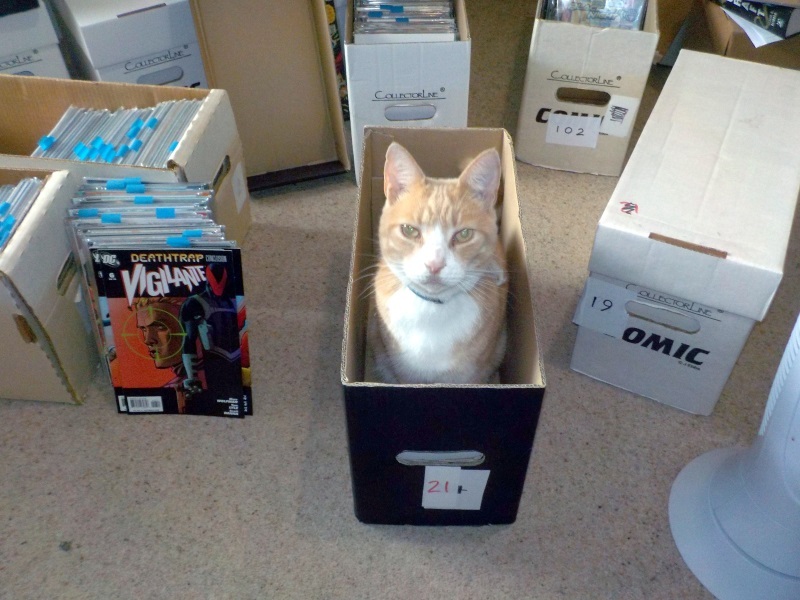 I’m currently re-boxing my comics, getting rid of two very old long boxes and going to some more manageable short boxes. At the same time, I’ve taken the opportunity to do some weeding and get shot of some issues that I no longer want – probably not as many as I should but every little helps, eh? Trouble is, things came to a grinding halt yesterday when one of our cats, Solo, decided to help out. Previous Previous post: Agent Carter Returning? Next Next post: Who Wants Spam?